In the autumn of 2012 started studying UMG-Wellness therapy at Aromatica, Turku. 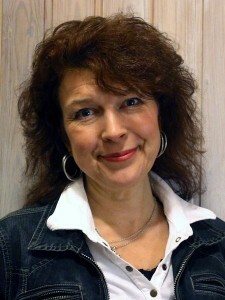 The products used in the treatments contained essential oils and were created by Ulla-Maija Grace. Using them for treatments during the courses and at home for self care the products became familiar to me. At the moment I am the head of an early learning center and my work most of the time sitting at the office. All through the year I had been suffering from neck ache that at times made it impossible to work. My visits to the doctor and physiotherapist did not bring any relief. The medication that was described for cure (eg 2 weeks of anti-inflammatories) was not the answer. Exercising and stretching brought temporary relief and some changes made at the working area made some difference, but the pain remained constant at varying intensity until the autumn. One of these wonderful products was Neck Tension Relaxer. First I tried it from the tester set during one of the training sessions and lo and behold after a few minutes the pain and tightness had drifted away. At that moment I decided that I had to have a bottle of my own. Easy to carry with you and get instant relief. This little bottle followed me in my bag everywhere for a few months always ready to help if the pain appeared. It not only surprised me with its powerful effect but also with how very long it lasted. Best of all; the nerve tearing and right into my personality affecting pain was gone! I could hardly remember what it had felt like. Neck Tension Relaxer is pure organic natural product, created and made here in Turku, Finland. The aroma is a delight and it is also good to remember that the aroma is part of the treatment affecting through the sense of smell. I have also been able to help others in neck pain, aching arms, lower back pain or aching legs with the Neck Tension Relaxer. It no longer surprises me that every time the report is the same; like magic the pain started reducing after the first application. I warmly recommend you to try!